Last week, the Department of Political Science and International Relations at SUNY New Paltz convened a roundtable discussion on the state of the Trump presidency a little more than two weeks in. Clocking in at just over an hour, the panel discussion and ensuing conversation with the audience set the context for where we are and where we might be going. The take-away was that one possible solution to Trump and his ambiguities lies in an institutional response to Trumpism, and that audience members might best channel their energies to directed political organization and action, including running for office, as a means to confront and resist the politics of prevarication and anti-democratic calumny over the next 4 years. 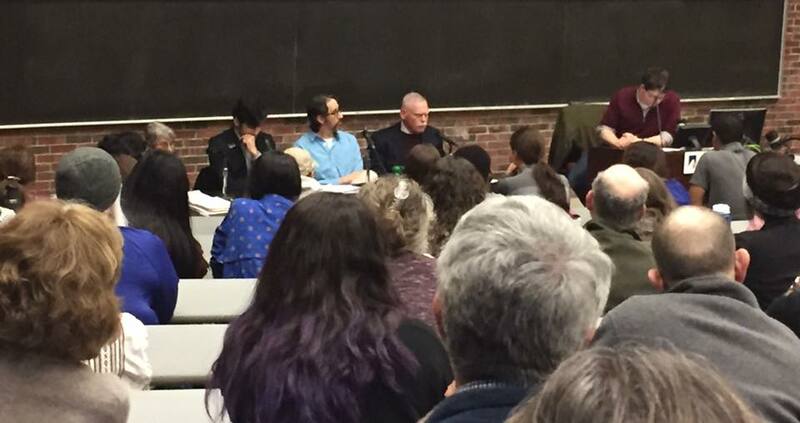 The panel, composed of Nancy Kassop, Stephen Pampinella, Daniel Lipson, and Gerald Benjamin, offered views grounded in the ethic of resistance and response, not reaction. The discussion was organized around questions posed by moderator Scott Minkoff. With particular attention to institutional dynamics, panelists offered their views on domestic government and politics, international relations, and environmental politics. The discussion focused in particular on two dimensions: Trump’s political strengths and weaknesses, and the institutions and industrial and populist partisans that are now organizing in opposition to the president’s inarticulate, inchoate arch-conservative, corporate-friendly policy agenda.